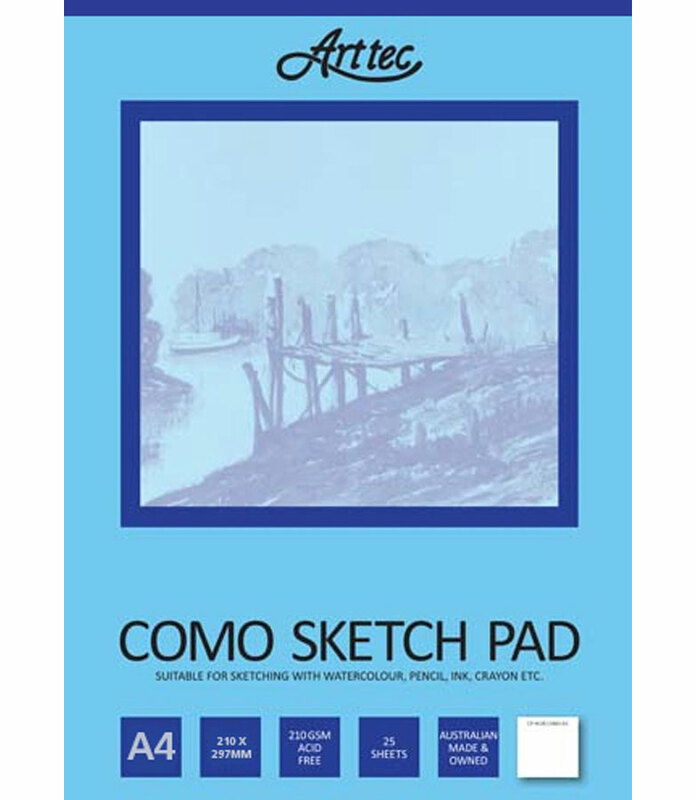 Art Spectrum® Oil Pads – 12 sheets have a surface that is similar to the texture of linen. 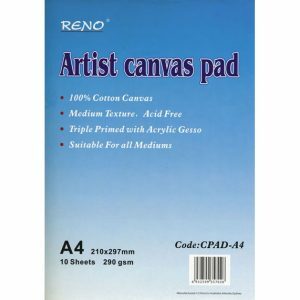 Its unique coating does not allow oil colour or mediums to penetrate the surface, giving the same effect as primed canvas. 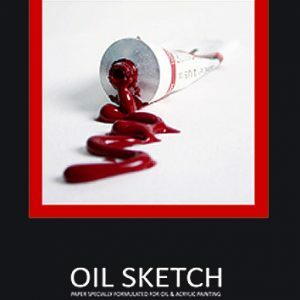 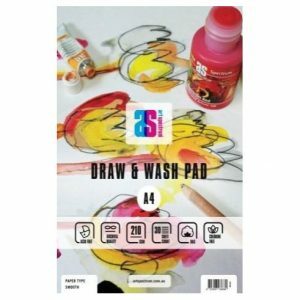 Oil Pads are available in 3 sizes: A5, A4 & A3 and are ideal for students and professional artists alike. 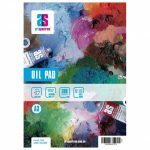 The 300gsm oil paper is acid free and archival, all with12 sheets. 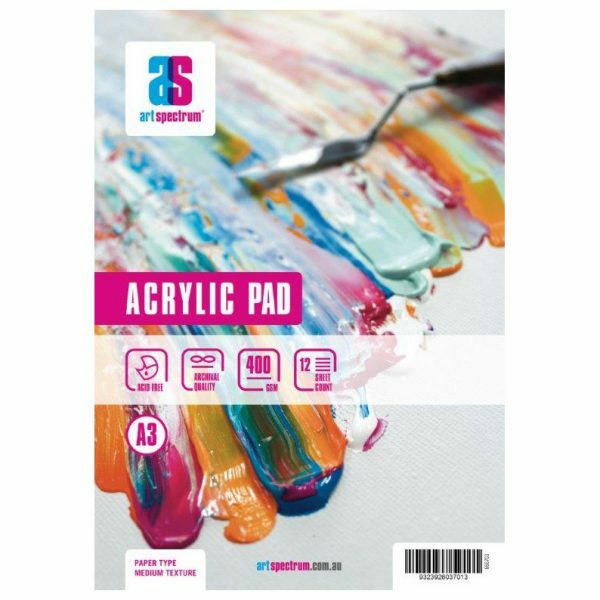 Art Spectrum® Acrylic Pads – 12 sheets have a Cold Pressed (medium) surface. The paper has internal and external sizing enabling acrylic paint to sit on the surface. 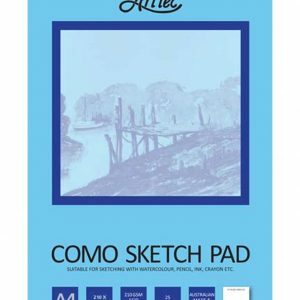 Special felts have been used to give the paper a Cold Pressed texture. Acrylic Pads are available in 3 sizes: A5, A4 & A3 and are ideal for students and professional artists alike. 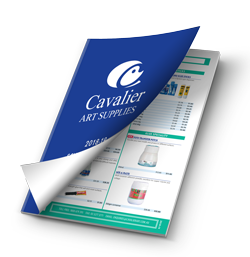 The 400gsm acrylic paper is acid free and archival, all with12 sheets. 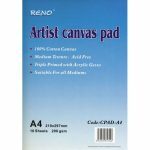 Heavy Weight Cartridge Pads (Como) 210gsm 25 sheets glued and bound Australian made genuine drawing cartridge Neutral PH, acid free for archival stability slightly smooth surface ideal for pen, pencil, crayon, charcoal, acrylic and watercolour media. Plastic bottles for storing acrylic paint, inks etc. Convenient and strong they all come with caps. 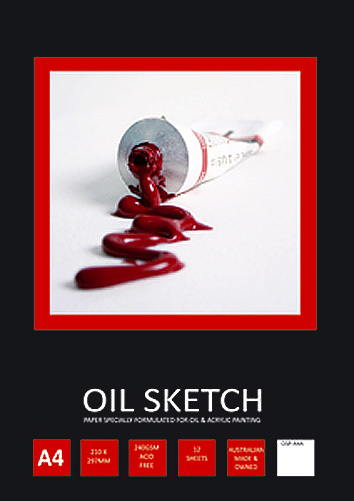 Optional witches hats can be ordered. 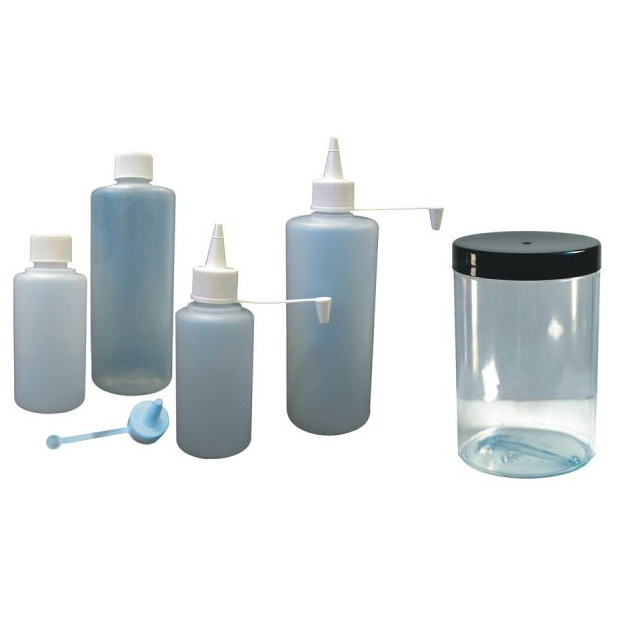 The bottles come in 200ml, 500ml, and spray bottles. 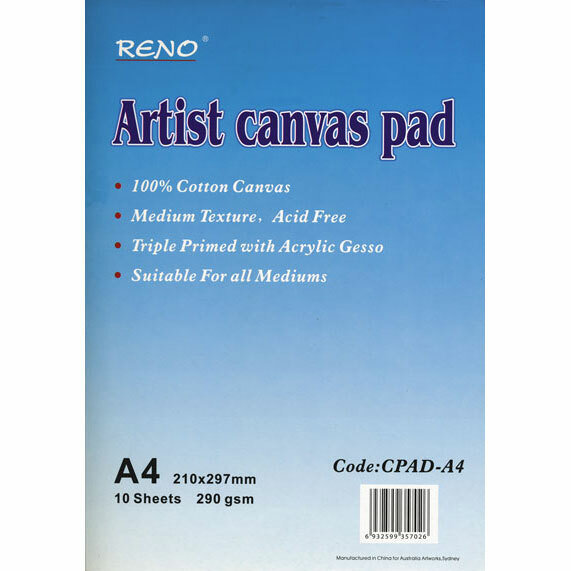 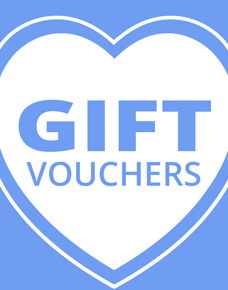 100% cotton canvas, triple primed medium texture, acid free pad suitable for all mediums.